Animal Advocates is known for its fearless rescue of dogs on chains, dogs in garages, dogs in pens, dogs in sheds, and dogs in puppy mills. We are less well-known for our rescue of cats kept in cruel, inhumane breeding conditions in sheds and basements, but we also fearlessly rescued those cats too. Cat breeding is much easier to hide and get at than dog breeding. 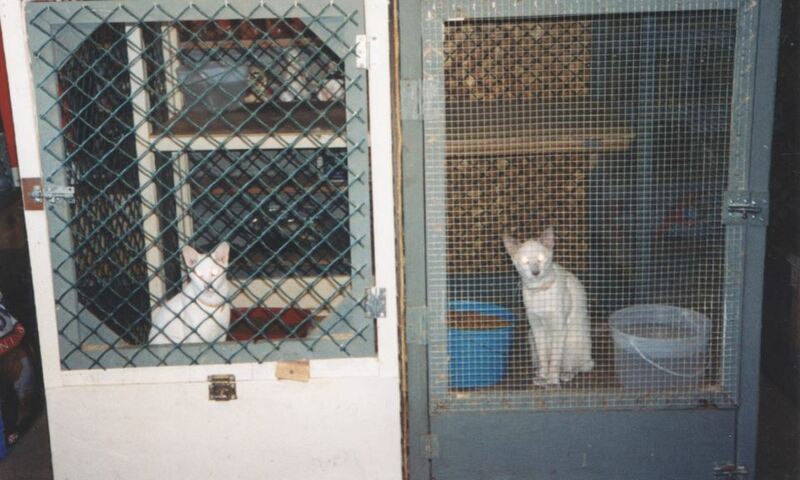 Puppy mills are easy to see and hear, but kitten mills are out quietly out of sight. 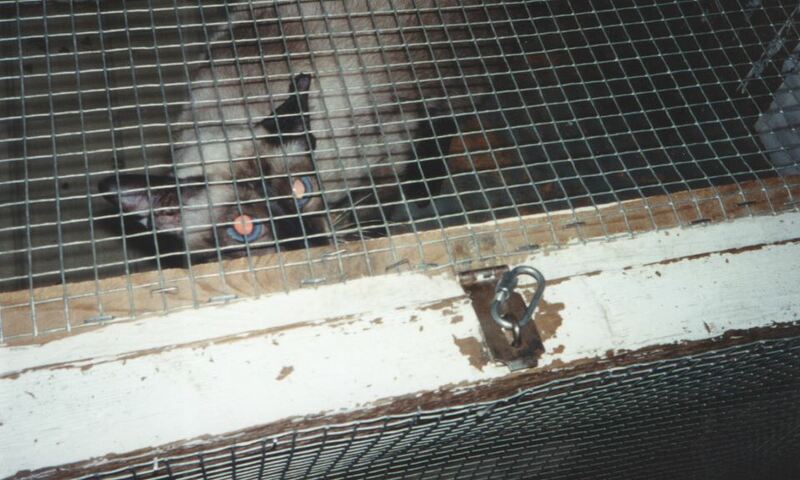 Some operations kept the cats in outside pens, making it relatively easy to rescue those cats. 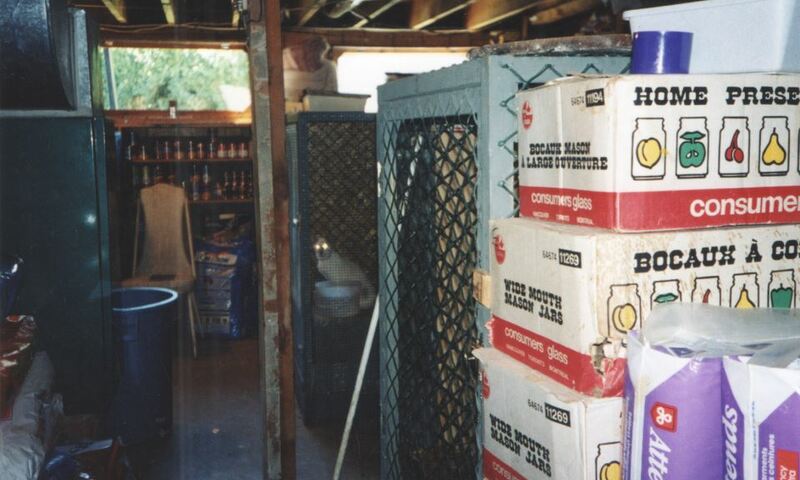 But most breeding operations kept their cats in dark basements. Those cats were much harder to rescue. 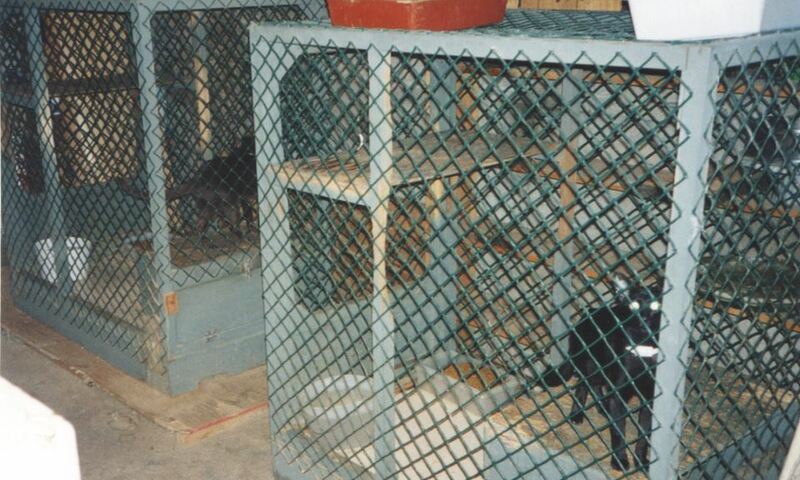 Foul puppy mills, and cruelty so gross that many people can't bear to hear it, were always ignored by the SPCA. Not just sometimes, but always. It was actual SPCA policy not to investigate or prevent cruelty. Cruelty prevention investigations were expensive. Some brave individuals, giving up on begging the SPCA for help, would rescue the abused animal themselves. That is how thousands of dogs got rescued. 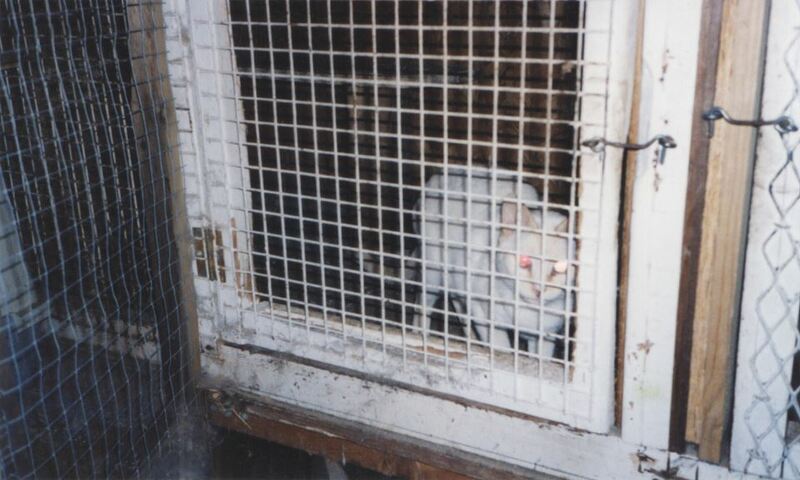 But almost no one dared to rescue the hidden kitten mill cats. AAS got its start rescuing cats, before it began rescuing dog. We would be contacted by someone who had seen one these cold-blooded operations and had given up reporting it to the SPCA. AAS would assemble at least three women pretending to want to buy kittens to investigate: two to keep the breeder occupied at one end of the basement, one to take the photos. Camera flashes had to be used because of how dark these basement operations were, making taking pictures risky. The pictures below show two operations. One in a basement, one in outdoor cages. 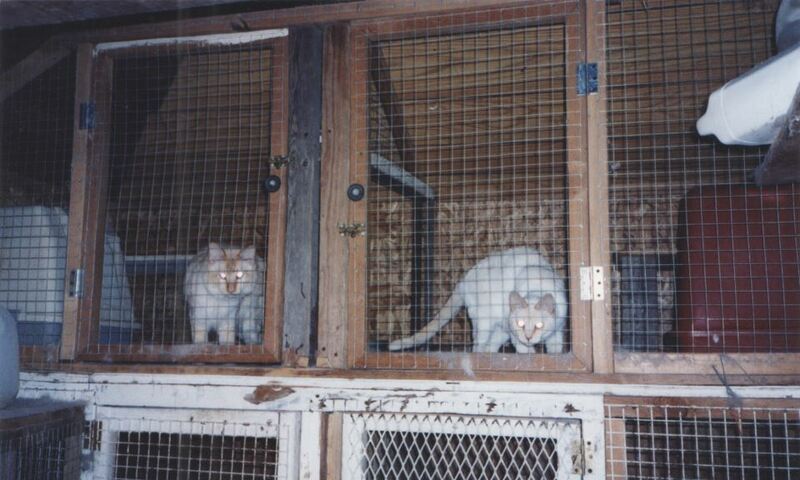 The outdoor cats were easy to rescue at night, but the basement cats had to be handled differently. A return visit would be arranged and the photos proving the number of cats on the premises would be shown to the breeder. In almost every Greater Vancouver municipality the legal number of cats per household was three to six, and few municipalities had breeding zoning. 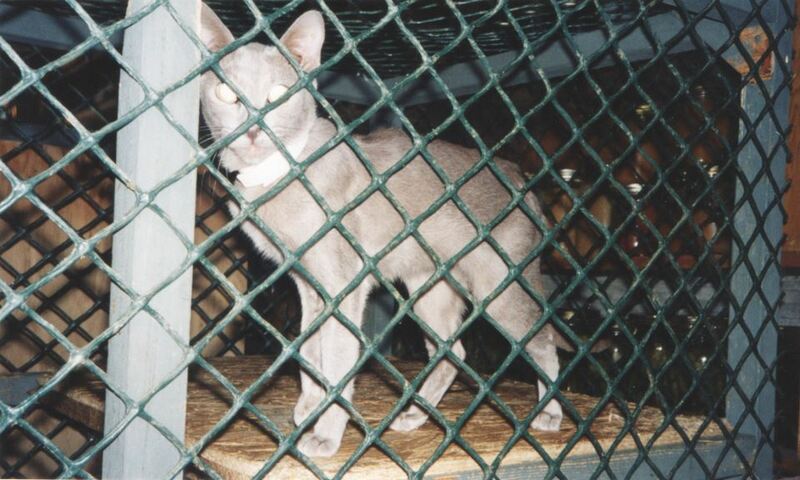 The breeders cared nothing for threats to report them to the SPCA, but they knew the municipality would not only seize the cats and destroy all (or most of them), but make the breeder pay fines too. At that point most breeders agreed to give us the cats. We made sure the breeder clearly understood that if she continued to breed, our photos would be put on our website and this time, sent to the municipality.